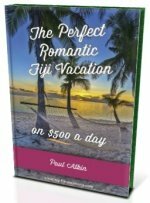 Need to get to your resort in the Mamanuca Islands Fiji? 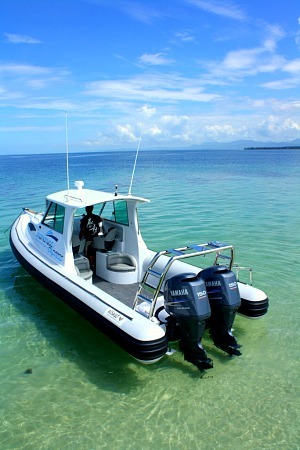 Mamanuca Express is Fiji's premiere water taxi service, getting you to your island resort, quickly and safely! 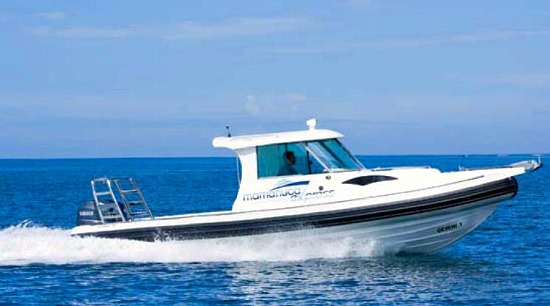 Mamanuca Express is Fiji's premiere water taxi service offering drop-offs throughout the Mamanuca and Yasawa Islands. They also specialise in fishing charters, island hopping, and private & corporate cruises. There is over 28 years of experience in the sea transport industry, and they presently operate 4 modern vessels ranging from a 4-seater vessel 'Black Watch 25' fitted for fishing, to a large 33-seater vessel 'Maxi' great for island drop-offs. This comfortable water taxi service will get you to your resort quickly, safely, and at any hour of the day or night. Mamanuca Express is perfect for late arriving flights and for early morning departure flights. It is also the ideal transfer option for those wanting to avoid an overnight stay on the mainland or those small to medium groups looking for a personalised service when travelling to and from your Mamanuca island resort. You also avoid the queues of the traditional ferry services (which operate only during the day). If you've booked your relaxing getaway on one of the stunning Mamanuca Islands, then a Mamanuca Express water taxi service can get you there 24 hours a day, quickly and reliably. That means more time at your island resort! Mana Island, Malolo Island, Plantation Island, Castaway Island, Likuliku Lagoon, and Musket Cove are all around 45 minutes one way. A bit farther past the Mamnuca Islands are the Yasawa Islands, equally as beautiful and more remote. Mamanuca Express can also get you to the lower islands in the Yasawas, far away from everything! The Mamanuca Islands offers some truly exquisite sights and activities which epitomises tropical island getaways. group of hearty adventurers, there are over 15 islands for you to explore. Not to mention all the friendly marine life under the water!